Today's students have grown up in a world of rapidly evolving technology, and they are natural-born experimenters, programmers, and tinkerers. 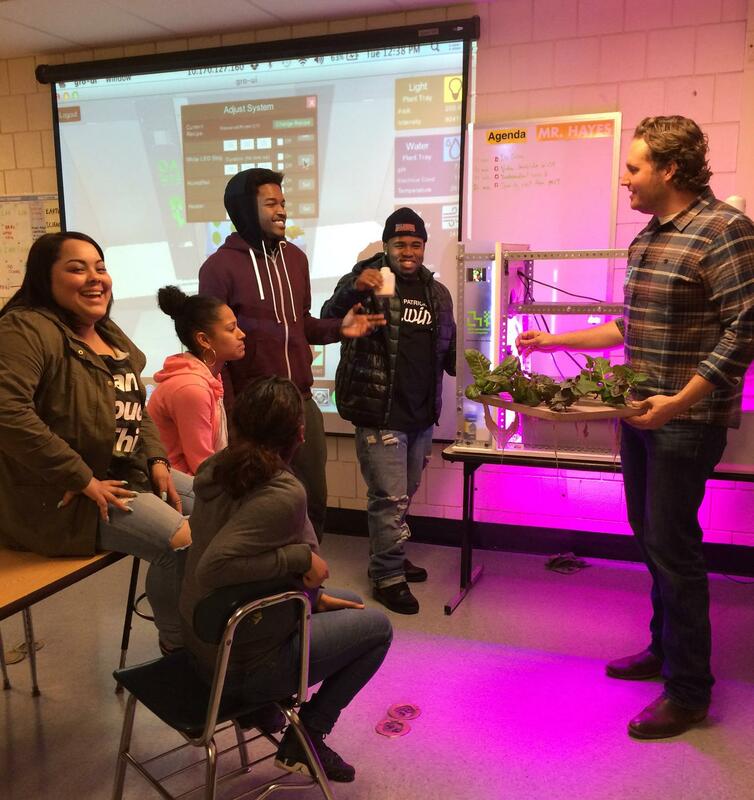 By introducing OpenAg™ Food Computers into the education context, including in schools and museums, we hope to inspire and empower the high-tech farmers of the future. Our latest testing in schools and libraries shows more than half of students who tested a PFC_EDU think more about food production, hunger, and where their food comes from. Visit the OpenAg Wiki page for the latest version of Personal Food Computer - the "PFC_EDU" including activity guides, materials lists, and helpful tips on how to get parts manufactured. Join our forum and meet other educators, or follow along with public libraries who are integrating Food Computers into their activities for students of all ages. Download or contribute activities, materials, lesson plans, curricula, and other education resources on our OpenAg EDU Wiki Page.